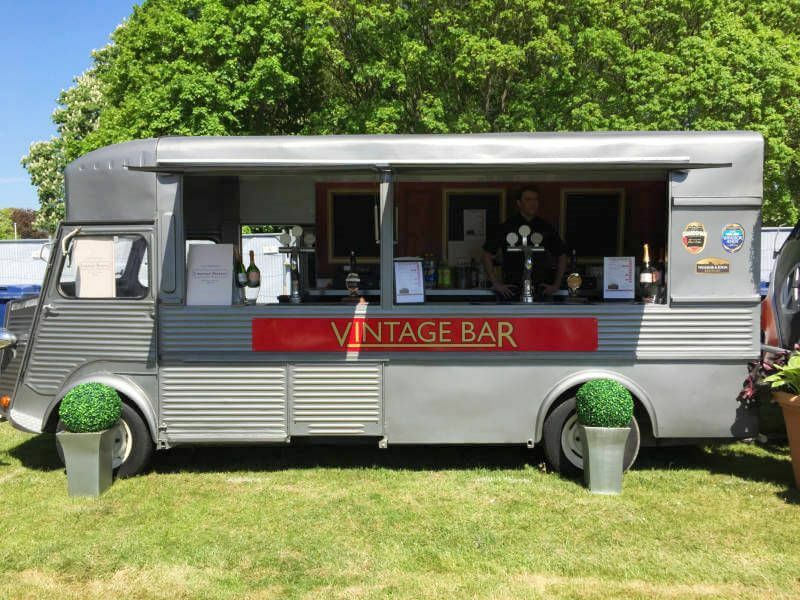 Our smaller service offering is our traditional Citroën H Van which can accommodate Draught Beer, Real Ales, Wine, Spirits, Bottled Beers and of course Champagne. It serves as a fantastic complimentary service to our Bus Bars and comes with subtle branding and plenty of scope for personalisation. 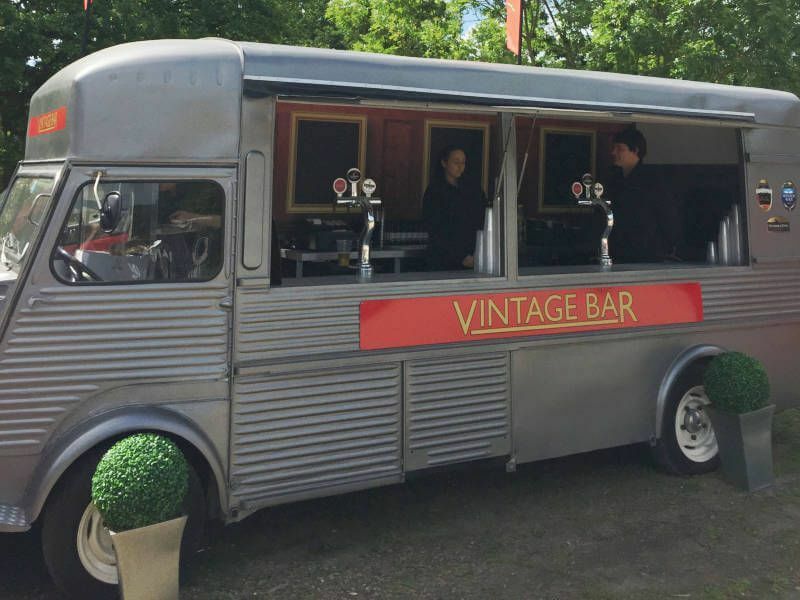 Our van came directly from a farm yard in France and was lovingly converted to a bar outlet. The H Van fits perfectly into small areas and is able to produce a good output with up to 4 service staff. It is very popular where a preferred supplier brands the bus distinctively for sole use of their product, and can double as a Champagne, Pimms, Real Ale or Cider outlet to support one of our larger Buses. When booked for your event, our staff will install the bus, supply the power and the dynamic to make your event special to you and your guests. 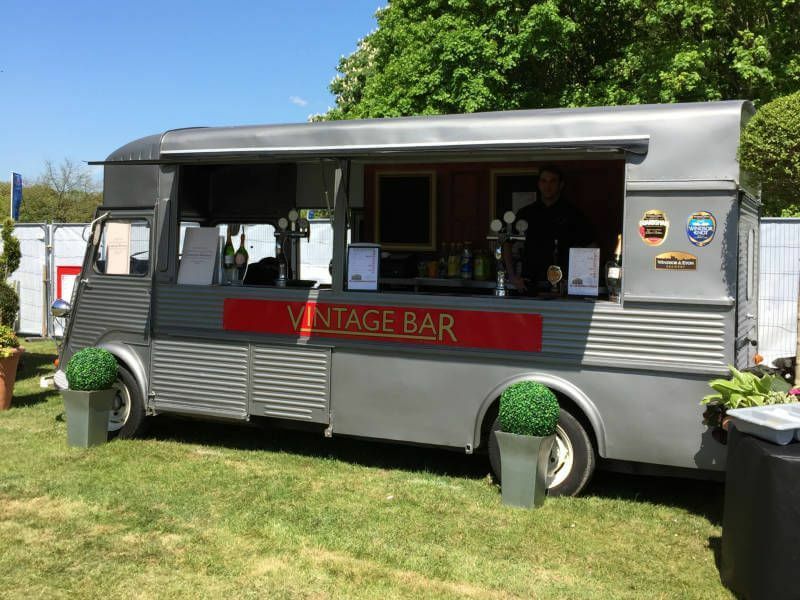 Whether a private wedding, party, outside sporting event or festival we are prepared for all requirements making us a very versatile plug and play bar solution. No ugly marquees, no hassle, no long setup, just a unique and memorable bar solution geared to your special day. There is a wow factor at every event, and we can act as the perfect centre piece holding a stage and entertainment, or as a quality backdrop adding a nostalgic feel to the event. We come fully licensed and insured and provide TEN licences for events where necessary. Health and safety risk assessments are carried out where required. Our staff are polite, uniformed in smart black shirts and jackets and fully trained on fast and efficient friendly service. 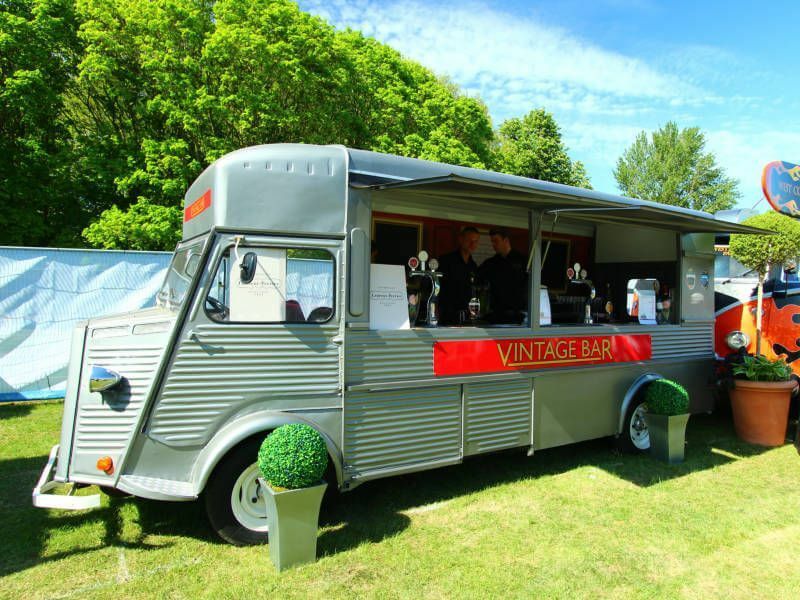 We can come self-sufficient with our own generator, staff, stock, refrigerated van or trailer for larger events, licensing and other equipment to take care of your event hassle free. We come with over 15 years experience in large event catering and can consult on your requirement to help budget and create the unique event you and your customers are looking for.